SUBGRUB 2 1/4 Inch Size. FLEXITECH 8X Tough. Awesome Tail action. SUBGRUB 2 1/4 Inch. 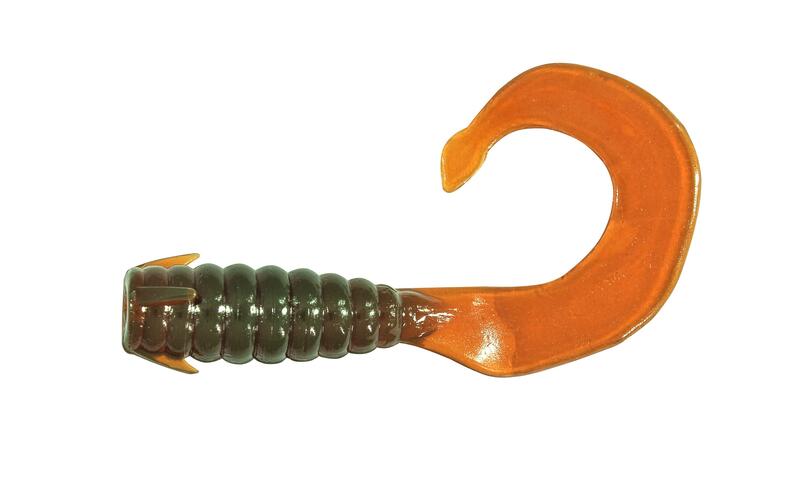 Naturally Bouyant, FLEXITECH 8X Tough, Awesome Tail Action. 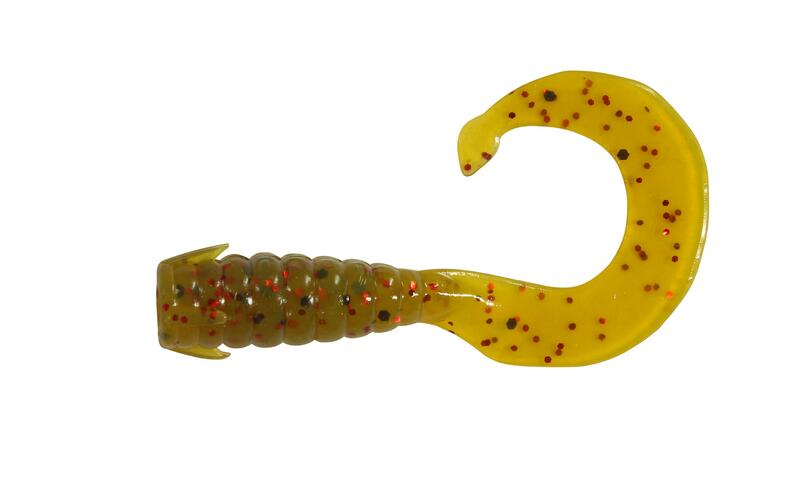 Grub Lures are mostly used for slow casting and retrieving. Working them is different to Minnow style soft plastic Jerkshad etc. Jerkshads and Minnows work best if jerked aggressively to make them dart side-to-side, up and down like a wounded baitfish etc. SUBGRUBS rely on their curly tail to imitate a fish or worm etc, not their body darting around like a Minnow or Jerkshad, so there's no need to jerk a SUBGRUB around like it’s wounded bait fish. Most of the SUBGRUB action is in the rise and fall, dragging jiggle of it. 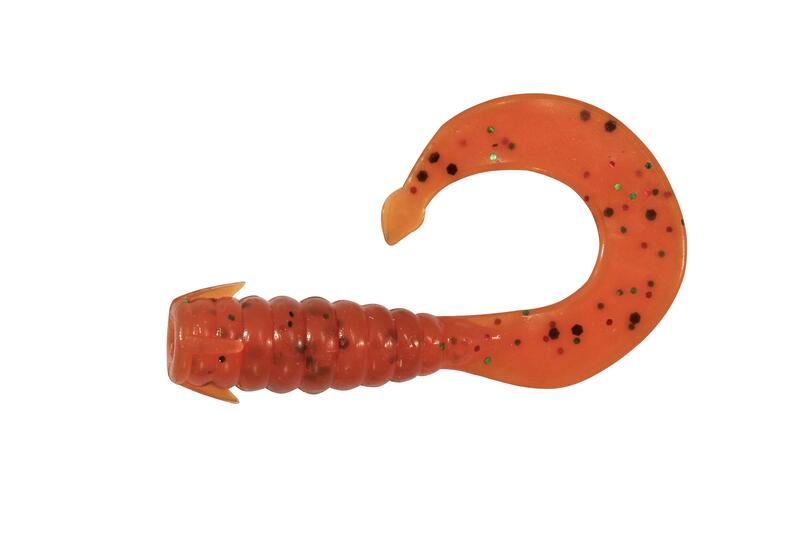 The SUBGRUB Tail will Flutter & Swim behind its Body, its tail is longer than the body, so it's not a subtle action, Used correctly it has more than enough action on its own to entice the Bite. Cast SUBGRUB wait till it hits the bottom; it may even get whacked on the way down so be ready. Once to the bottom (make sure its hit the bottom), pause it, small lifts, small hops, soft jiggle, drag it, soft jiggle lift, slow roll, pause, mix it up on the day until you discover what the fish want to entice the bite. But Slow and Subtle is the Key. 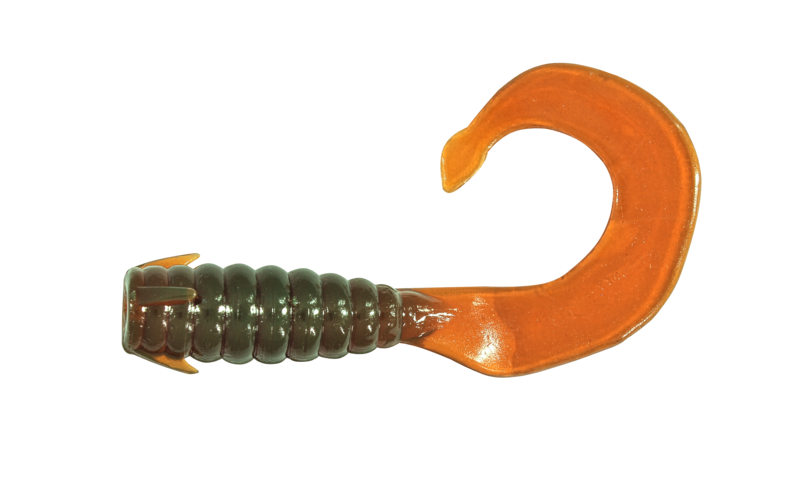 SUBGRUB is a pretty simple soft plastic with an awesome tail action we think the SUBGRUB has the best tail action out there 2nd to none. 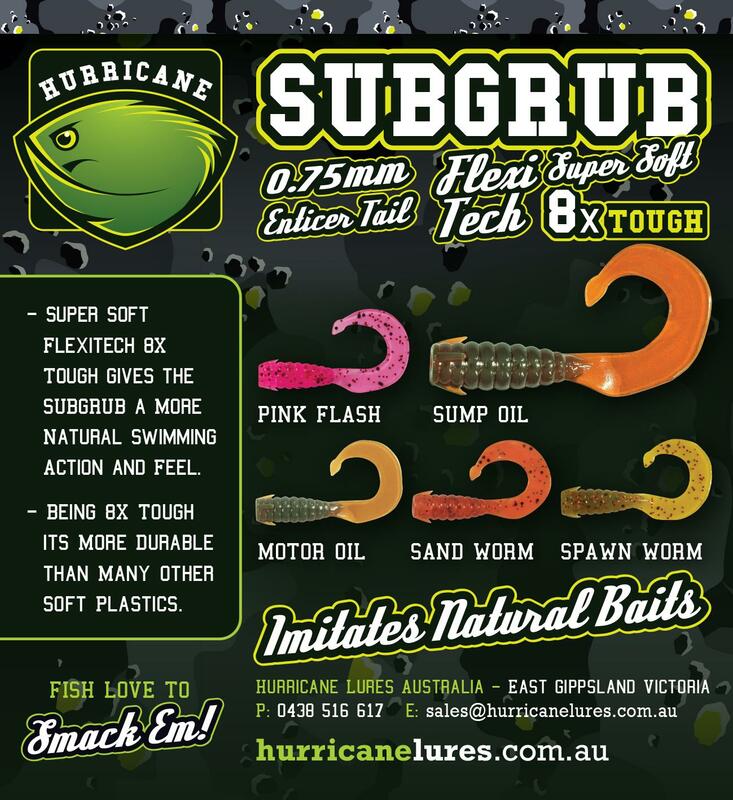 The SUBGRUB is a great choice in a lot of situations also great for beginners, its a proven Fish Catcher so have confidence, use it correctly it will Catch you Fish. So Just Keep it Simple and Slow. Finesse is the Key. Resist the urge to twitch hard, crank and rip the SUBGRUB around fast with aggression etc. 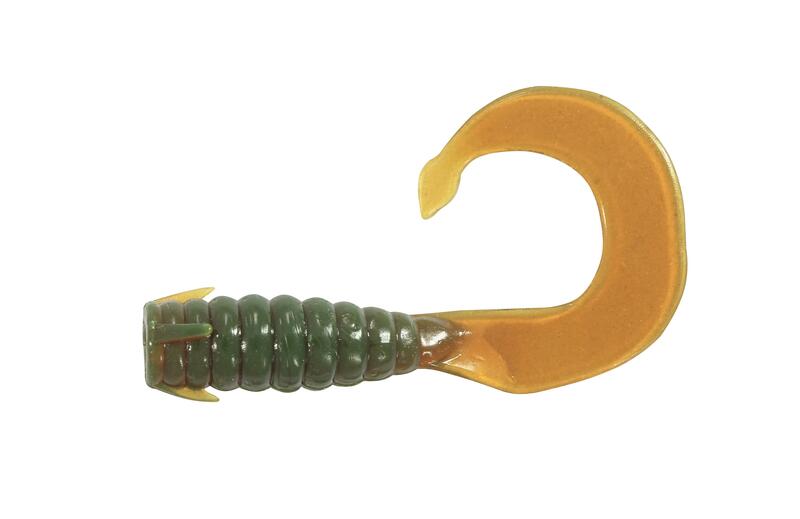 Insert the Jighead to run the length of the SUBGRUB body stopping short of the tail, the hook should never ever penetrate the tail. 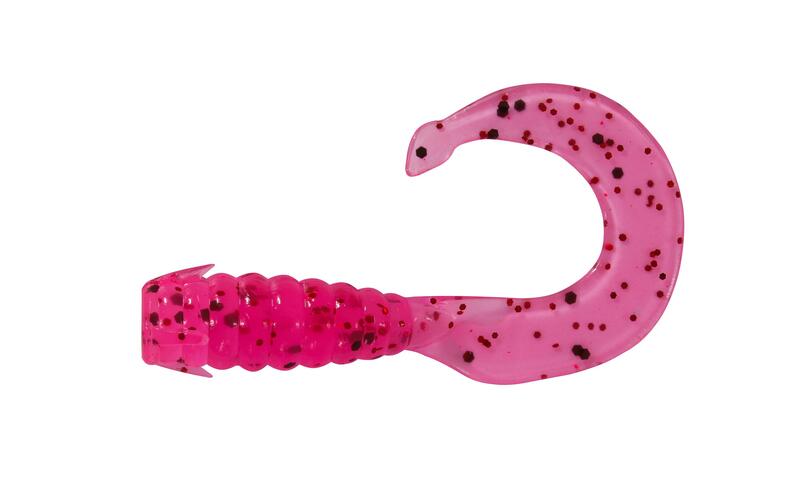 We like to rig the SUBGRUB hook out which is the opposite side of the Curl. Make sure its Rigged Straight & True along the SUBGRUB Mould Line. Rigging is very important so take your time Rig it Straight & True. This will ensure it swims to its best ability. We also like to use a lighter weight Jighead rather than a heavy one, so choose the Lightest Weight Jighead you can to do the job on the day. Depth & Current Flow will determine what size is suitable on the day. Remember SUBGRUBS Tail is meant to flutter and swim, not rip around through the water column fast, so really it doesn't matter if it takes a while to sink into the strike zone, as long as you can still feel in contact with the SUBGRUB and remain in control of it. That will come with practise. So now you know how to fish the SUBGRUB, go out and SMACKEM !!! !